This situation is not without precedent. 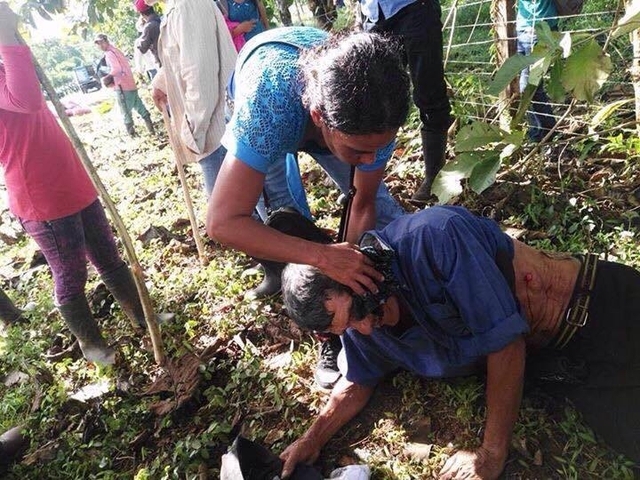 According to a report released on 17th October by the Nicaraguan Center for Human Rights (CENIDH), human rights violations have occurred regularly since the contract for construction of the canal was awarded to a Chinese company. Over 80 protests against the canal have taken place since 2014, and have typically been dealt with through a variety of repressive strategies, including the criminalisation of protests and protesters, the use of military force to curtail free movement, the intimidation of bus drivers to prevent them from taking protesters to protest sites and the use of schools as military bases. On 28th October, Jorge Blandón, a member of Frente Amplio por la Democracia, reported that he had been harassed by police after requesting permission to organise a protest against the 6th November presidential elections, which opposition leaders campaigning for electoral abstention described as 'a farce'. He reported that police officers had threatened to throw him in jail if he continued to organise the protest. Despite these and other attempts, protests against the election went ahead in three different cities of Nicaragua. On 7th October, journalists from news outlets Confidencial and Esta Semana reported that they were the subject of constant harassment and espionage from the police and military. Two people identified as members of Sandinista National Liberation Front requested confidential information on employees, including their licenses plate numbers and the names of visitors they received from government and diplomatic missions. Concerns about the conditions for journalists and media freedom in the country were expressed during the 72th General Assembly of the Inter-American Press Association in mid-October. The organisation reported that freedom of expression in Nicaragua is being undermined by Ortega’s control of all public institutions. It also expressed its concern about the erosion of independent media in the country and the improper use of official advertising to benefit media outlets aligned with the government’s interests.